Established in 1865, Bath Rugby is one of the oldest clubs in existence. To begin with, they played mainly local rivals, such Weston-Super-Mare, Gloucester, Clifton and Bristol. By the 1890s, Bath had begun to branch out, and began playing Welsh opponents Cardiff and Penarth more regularly. Bath, not content with playing just local rivals, hosted their first international fixture in 1907, against Racing Club de Bordelais, who crossed the Channel to play at the Rec. Moving to the post war era, Bath lost 17 of their players in the service of their country. And despite the Rec and the club being heavily bombed during this time, managed to resume its fixtures not long after the wars conclusion. With the foundation of the National League system in 1987-88, Bath were a dominant force. They won the league 6 out of the next 9 years, and were near unstoppable in the what is dubbed as the ‘unprofessional era’. At the turn of the professional era, Bath became the first British club to lift the European cup in 1998 – by beating the favourites, Brive by 19-18, that however, was to be their last trophy for 10 years. Since then? Most Bath fans will tell you that they’ve been disappointing since. A number of relegation fights: most notably in 2002/3 which saw Bath survive at the expense of local rivals Bristol, by the virtue of points difference. Whilst there has been success in between, with the European Challenge Cup win in 2007-8, Bath have never risen to the heights of the late 80’s / early 90’s. In 2010, Bruce Craig sold off his pharmaceutical business for just short of £1bn, and purchased Bath Rugby. His aim? To return the club to its former glory. Craig himself was a successful player in his teens and early 20s, having a trial for England Under-19s and playing alongside the likes of Andy Robinson whilst studying at Loughborough University. 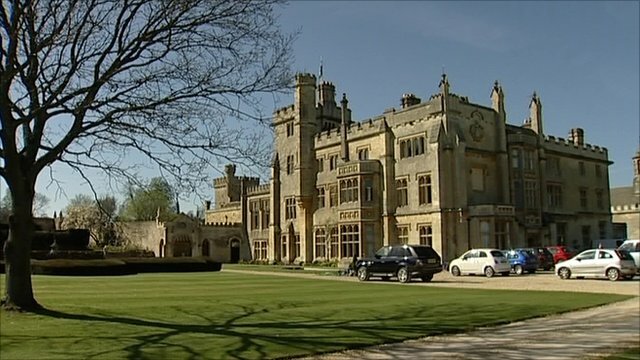 Since his arrival, they have moved to Farleigh House, and completely renovated it into a state of the art training facility, with several 3G pitches surrounding it. The have redeveloped the academy system, bringing about a complete upheaval. Craig has pushed on with trying to expand the Rec, which has encountered numerous problems over the years against a group opposing the expansion of the stadium, and want Bath Rugby to move out of the city centre.